Home / News / Keep Off The Frozen Lawn! Keep Off The Frozen Lawn! With the Beast From The East currently sweeping through the United Kingdom, the Lawn Seeds team would advise you not to step out onto your frozen lawn. A frozen lawn is nothing to worry about, you can’t really prevent a frost. Unfortunately, you will have to sit and wait till your lawn has thawed out. However, walking on your lawn when it is frozen over can cause a great deal of harm. 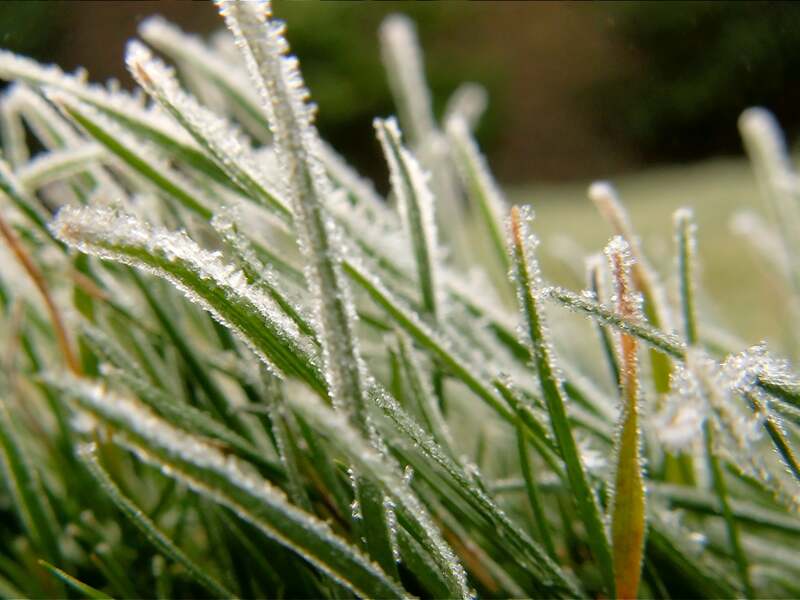 This can cause the frozen grass blades to break, resulting in a damaged lawn. Over time your lawn will recover but it may not fully heal until the following spring. When a heavy object is applied to the frozen grass blades the water will expand and slice through the grass. This will cause a great deal of cellular damage. The damage caused isn’t permanent, however, it is beneficial that you notify friends, family and the postal service to stay clear of your lawn. Especially if it is the focal point of your garden.